At OCCU, we’d love to make your dream home a reality. If you’re a high-income earner with strong credit and financial history, you could qualify for rates comparable to traditional mortgage loans. If you think an OCCU Jumbo Home Loan aligns with your homebuying journey, let’s talk about how to save you money.  While most lenders require 20 to 30 percent down, OCCU Jumbo Home Loans require as little as five percent down, giving you more flexibility in your budget. On a $500,000 loan, that means you could spend $75,000 less on your down payment than with other lenders. Take the guesswork out of homebuying with our mortgage calculator. Get a head start on homebuying with our mortgage calculators. See what your monthly payment might be with current interest rates and how your payment impacts your principal over time. Is a jumbo loan right for you? If you’re a high-income earner with strong credit and financial history, you could qualify for rates comparable to traditional mortgage loans. If you think an OCCU Jumbo Home Loan aligns with your homebuying journey, let’s talk about how to save you money. Ready to get moving? With OCCU, you can expect great, competitive rates, low closing costs and fast loan processing. Our mortgage loan officers will walk you through every step of the homebuying process, ensuring you have the best, most convenient experience possible. While you shop for a home that will meet all your needs, it’s important to know that mortgage options differ based on the amount you’re looking to borrow. The loan amount must be more than $484,350. The property is a single-family, owner occupied residence. Second appraisal of the home is required. Borrowers have a lower debt-to-income ratio. Conventional loans are the most common types of mortgages and either fall into one of two categories: conforming or non-conforming. The main difference between a jumbo loan, a type of non-conforming loan, and a conforming loan is the amount you’re borrowing. We’re here to guide you through the homebuying process. If you’re ready to buy, we’ll get right down to the competitive rates, low closing costs and fast processing you want in a mortgage loan. Send us a message. Our local loan officer will be in touch. If you need a refresher on the homebuying process, visit the OCCU Homebuying 101 Center. You can track your progress all the way from pre-qualification to what happens after closing on your new home. Home prices in many cities continue to soar. As a result, more and more homebuyers are venturing into jumbo mortgage territory. Here’s what you need to know about jumbo loans. Owning a home is a rewarding experience. Learn to make the most of it with our helpful home ownership articles on topics including tips on the homebuying process, using your home equity wisely and upgrading your home with smart home technology. We all have dreams. Buying the perfect home. Starting a business. Your ability to get a mortgage depends on four primary factors: your credit history, financial capacity, available capital, and collateral.